For any make of cooling tower ) (cps supply air inlet louvres for counter flow and cross flow cooling towers fully compliant to the requirement and recommendations of Health & Safety Executive ACoP L8 (Legionnaires’ Disease: The control of Legionella bacteria in water systems). The guidance requires the base tank or pond of cooling towers to be fully enclosed to prevent direct sunlight onto the water. 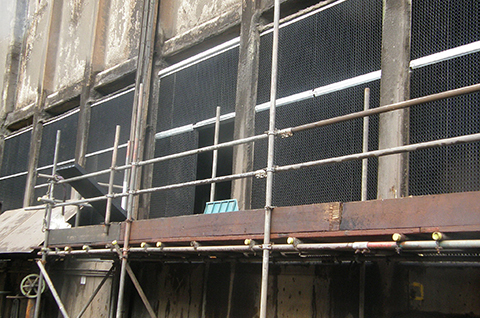 Air inlet louvres should be designed to minimise splash-out or windage losses from the cooling tower, and to avoid leaves or other contaminating debris being drawn into the tower.
) 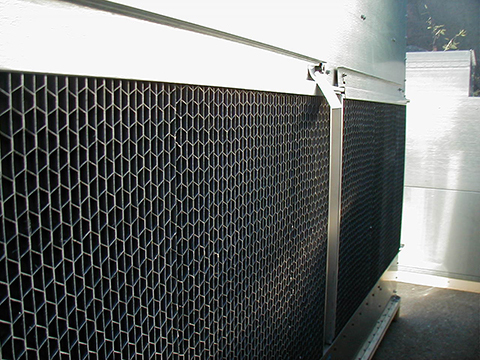 (cps can supply suitable air inlet louvres as a retrofit to existing older cooling towers, as replacements on towers which already have louvres, and can be framed or unframed with a supporting structure.